Race Facts: Kyle Busch won the first race on the newly-repaved Darlington last year… Greg Biffle’s pole speed in 2008 was 15 mph faster than Clint Bowyer’s pole speed in 2007… In all, 40 drivers broke the previous Darlington qualifying record last year… Kyle Busch started sixth last year… Biffle finished last after blowing an engine… The last seven Darlington winners have started 11th or higher, but the winner has not come from the pole since 1997. Denny Hamlin: Think Hamlin has a sour taste in his mouth after what happened at Richmond Saturday? Darlington is the perfect place for Hamlin to make up for Richmond, as he has an average finish of 6.3 in three Darlington races. Last year, he got turned around at the midway point in the race and still rebounded to finish seventh, and his lowest finish ever at Darlington is 10th. If you do pick Hamlin, it will take a few minutes to find his car, as he’s running a different paint scheme this weekend. 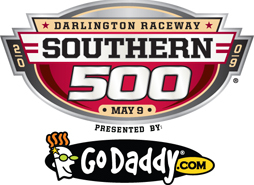 Kasey Kahne: Kahne had immediate success at Darlington, finishing third in his first Cup race there, and overall Kahne has an average finish of 14.0. However, this pick does come with a bit of a warning. The RPM cars have been using the old Dodge engine, and therefore have a bit less horsepower than most of the field, and with the increased speeds on the new pavement, horsepower issues may have more of an impact than they previously had. Kahne finished 22nd last year, but was behind the eight ball from the get-go, after having to start last from a crash in qualifying. If Kahne is slow on qualifying day, don’t use him, but if he’s starting in the top 20, you’re going to be OK.
Jeff Burton: It may seem hard to believe, but after Jeff Gordon, Burton may be the most successful active driver at Darlington. Burton has two wins at the track and 15 top 10s with an overall finish of 11.5. And as always, Burton has been Mr. Consistent over the last three Darlington races with finishes of ninth, 10th and 10th. In two of those starts, Burton had top 20 starting positions, an important thing at Darlington. If Burton starts in the top half of the field, he’s a near lock for the top 10, but if he starts near the back, as he’s apt to do, he’ll have a very hard time getting to the front. Casey Mears: Mears had a nice rebound from what has been a terrible season so far with a 9th place finish at Richmond, but don’t expect Mears to continue that upward trend this week. To say that Mears struggles at Darlington may be an understatement. Mears has an average finish of 29.5 at the Lady in Black, and his career best finish is 17th in 2006. However, in 2005, 2007 and 2008 Mears has two 35th place finishes and a 39th. Stay away from the Car in Black. David Stremme: Stremme wasn’t in the Cup Series last year, so he hasn’t had a chance to run a Cup race on the new surface, but in his two starts on the old surface he didn’t have much success with finishes of 25th and 34th. It seems that Stremme has had a lot of bad luck this year, and at a track that requires some luck where he’s never raced a Cup car doesn’t sound like a great combination. Kevin Harvick: You’d think that Harvick would have success at Darlington, but surprisingly enough, his average finish is just 20.8 Harvick was in a wreck last year, but had finished outside the top 10 five of the previous six years before then, including three finishes lower than 30th. Mark Martin: If Jeff Burton is the most successful driver besides Jeff Gordon at Darlington, then Mark Martin is a close third. Martin has just one win at the track, but has 25 top 10s in 42 career races at Darlington Raceway. He’s driving as well as he ever has, he’s in great equipment and has a great crew chief, so you’d be foolish not to pick Martin this weekend. He may not win you the race, but he’ll surely be near the front.